This is the one. Of all of the DVD packages out this year, this was the one I had been anticipating the longest. Ever since John Foxx + The Maths had made their live debut at The Roundhouse in May 2010 with this all analog show, months in advance of their stunning “Interplay” debut album. This functioned as a career overview of Foxx with his “Metamatic” phase, Ultravox phase, and his even more stunning present/future phase getting exposure in the best possible way. Benge and Sarafina Steer of The Maths are joined here by larger group of musicians to achieve the sound, including Robin Simon from Ultravox, reprising his [and Stevie Shears’] classic guitar parts. The vast majority of the keyboards here have no conception of MIDI. This was a one-time event captured for posterity. I should mention that the package is not a complete record of the event. Conspicuously absent was the three song set within the concert that featured longtime Foxx partner Louis Gordon. I seemed to recall reviews in 2010 mentioning his energetic presence as a contrasting foil to the more sedate Foxx, and after reviewing setlists, the chunk of the concert featuring material they collaborated on has been spiked. The bonus feature on the DVD where Foxx and the band detail their tech gear revealed that the single digital synth on stage that night was Gordon’s for his three song set. Maybe it was edited out because it wasn’t analog and thus didn’t fit the concept? Also, The Math’s had the wonderful “Destination” from the climax of the first encore excised. A pity, but maybe there was a technical screwup that prevented its inclusion. The DVD began with a film by Alex Proyas† under which a new, altered version of the “Underpass” B-side, “Film One” is played. The imagery is definitely Foxxian with “a man, a woman, and a city” featured in pixilated, infrared looking footage. “Film One” is a very heavy track that I always thought made Black Sabbath’s “Iron Man” sound like The Carpenters. The juxtaposition of seriously ponderous chords of doom with the arid, insect-like CR78 beatbox is fascinatingly ironic. The show then began with a “Metamatic” set featuring tracks and non-LP sides from that era. This music has never sounded better than it does here! All live*, all analog, and very tactile and viscous. Most of the tracks don’t stray too far from the original arrangements, but they just sound phenomenal as the large, busy band strive to make the music breathe like never before. “Plaza” is the perfect opener with the spaces between the sounds contributing to make it sound far more robust than the studio version. Foxx sounds like he’s really enjoying himself on the added vocal flourishes. The human timing eschews computer perfection and make the results sound more pleasurable than ever. “No-One Driving” is present in a slightly altered arrangement with Moroderesque sequencers playing at a slightly slower tempo to further change the complexion of the song. “Underpass” devastates with its serrated riff underpinned by the song’s famous reggae baseline. Jean-Gabriel Becker plays the electric bass in the Jake Durant role of the only non-keyboard instrument in this part of the concert’s flow. Foxx collaborator Jori Hulkkonen flew in from Finland to play synths on this song only! * Okay. Some tapes were used. I guarantee the whistling on “He’s A Liquid” is on tape. Act II [John Foxx + The Maths] begins with the intense “The Running Man” from “Interplay” and cools down for the reflective “Summerland.” Main Math Benge hits the Simmons pads for much of this material. One track [“Watching A Building On Fire”] is so new, it had not been recorded yet for the album, but Foxx introduces the song and explains that Mira Arroyo from Ladytron co-wrote it with The Maths and will sing it on the record when its made. Foxx sings the song all by himself here for a rare turn. The peak for me is the amazing “Catwalk!” It’s simply a stunning, bracing cocktail of detachment and desire. The vocoded b-vox sound like they’re about 40 Hz! Please give me more! It’s difficult to imagine the impact of hearing this classic for the first time live on the audience. The arrangement has not been completely nailed down yet, and this live version is a full minute longer than the too-brief studio recording. When Robin Simon joins the stage for the third act, know that this was the real Ultravox reunion! Significantly, Liam Hutton steps behind an acoustic drum kit for the first time in the evening. The set kicks off with a perfect “Dislocation” and then “The Quiet Men” gets a very Moroderesque re-fit with the sequencers giving the track a “Quiet Life” feel with Simon’s guitar providing a stimulating contrast. The huge smile on Foxx’s face when he looks back at Simon as he begins playing is worth a small fortune. Then the “Systems Of Romance” trilogy is completed with the all powerful “Slow Motion” which still sounds like the best thing Foxx ever did, which is saying a lot. It’s impossible for me to even think of that intro without goose pimples, even after over 30 years of listening to it. There is a break here, and when Foxx returns for the encores, the tenderness of “The Good Shadow” has Foxx solo until the song’s end, where a new arrangement of long time favorite “The Man Who Dies Every Day” is offered. More sequencers abound here but again, Simon’s guitar provides delicious contrast. This marks the first time I’ve ever heard the song with Simon and not original Ultravox! guitarist Stevie Shears on guitar. I should point out that the song is underscored visually with the famous “blipvert animation” clip from the “Max Headroom” film. Cognoscenti may remember that this was a project directed by Anabel Jankel and Rocky Morton and originally scored by Midge Ure and Chris Cross. After this peak, the show concludes with the song that was the template for “Vienna,” “Just For A Moment.” Sarafina Steer’s synths instead of Billy Currie’s piano at the bridge give this powerful number a new edge, 32 years on. 2012 has seen me finally write off Ultravox and Gary Numan, two performing units with close, if not intimate ties to Foxx. As Ure and Numan falter and wane, Foxx shows them how it’s really done by an actual artist who is still growing and developing. Dramatically. His movement from strength to strength is astonishing and flies in the face of what I expect from artists who have been active for as long as he has. There are 2000 copies of this package. Buy now, here or live to regret. † The film is an edited version of a 1980 student film by Proyas called “Groping” which is actually about the Kitty Genovese murder! This entry was posted in Core Collection, DVD, Record Review and tagged Ben Edwards, Benge, John Foxx, John Foxx & The Maths, Ladytron, limited editions, Mira Arroyo, Robin Simon, Ultravox. Bookmark the permalink. Is the DVD in NTSC or PAL format? 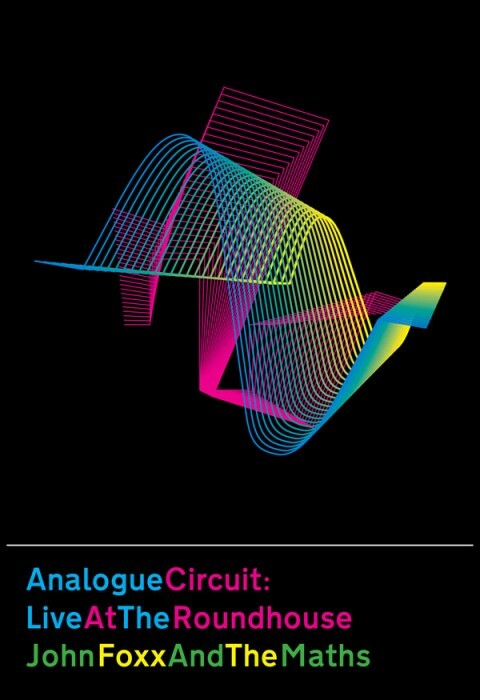 JT – “Analogue Circuit” is a PAL/0 DVD. Done! Now to see if it will get here before X-Day … sorry, Xmas! I agree wholeheartedly. I was a teenager in the early 80s. The sountrack to my life so far has centred around new wave/new romantic/futuristic, goth, industrial, EBM and latterly psytrance. I have to agree that of all the artists that I have listened over the years, JF has stayed the distance. I am currently listening to “The shape of things” (practically on loop) and it sounds as fresh and new to me as “Underpass” did all those years ago. Stewart Brownrigg – Welcome to the comments! Wow – you learned about John Foxx + The Maths here? Knowing that makes it all worth the effort on my end. I don’t use the common tools to publicize this blog. Anyone coming here is usually following a comment I may have left somewhere else. I even keep this blog invisible to search engines. The odds of reading PPM are slim, but thanks for making the effort! If you like EBM that new Douglas McCarthy album sounds like a must have. I loved that last Nitzer Ebb album. Hello, and yes – I am familiar with John Foxx’s work, but I had not come across the + The Maths until I read your review. I cannot remember exactly how I came across your blog – probably whilst on the search for something, as you say on someone else’s blog. My main other music subscription is Synthtopia, which is about the instruments, you don’t comment on there do you? I liked what I read on your blog, and you mirror quite a lot of my 80’s musical exploration, so I subscribed to your RSS feed. I envy your ability to maintain this blog, it is a great read, but most of all I envy your digitising of 80’s stuff. If I had the time I would have a go. I have some special edition tapes (album on one side and remixes on the other) that I need to do something about, e.g. Fashion – Fabrique, Thompson Twins – Quick step and side kick, and King – Steps in time. Stewart – Don’t envy me. I have virtually no time to digitize my vinyl in a quick and dirty fashion these days. Never mind full-blown Monk Style remaster jobs. As for blogging, without a lunch hour at work it wouldn’t happen. But I do like the outlet. The Fashion cassette is the only artifact from the “Fabrique” era not in my record cell, but the current CD on Cherry Red [“The Height Of Fashion”] has the cassette only material [“Love Shadow Smokey Dialogue ver. 2,” “Do You Wanna Make Love [at 5 a.m.],” and “You Only Left Your Picture [reggae reprise]”] accounted for on CD. The rest I have on vinyl elsewhere. As for the Thompson Twins, the 2008 2xCD DLX RM of “Quick Step + Side Kicks” on Edsel had all of the cassette mixes remastered for the CD. King? You’re on your own, there! I never was a fan and both of the extended CD releases [1994 Oglio US, 2010 Cherry Red] that have appeared thus far don’t give up the full monty. Annoying, for the fans.